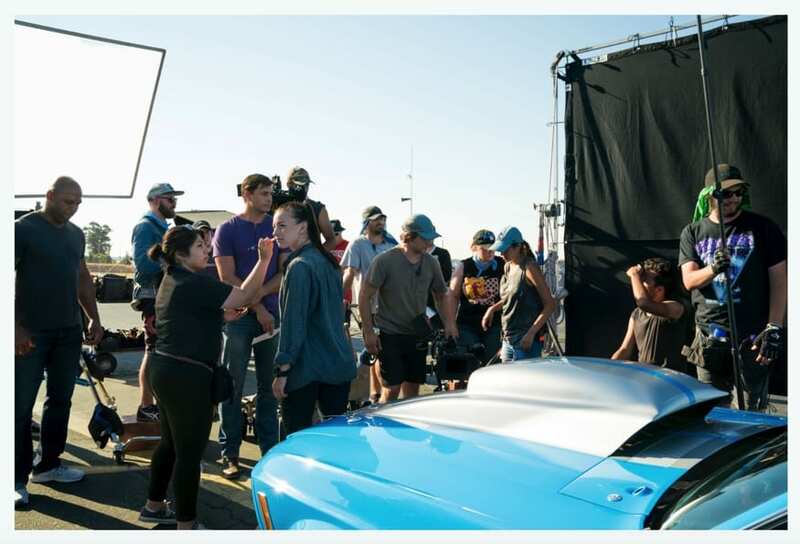 San Jose, CA – Filmmakers at San Jose State University are anxiously awaiting the showing of their new short film “American Muscle” at the 2019 Cinequest Film & Creativity Festival, a highly acclaimed international film festival held in San Jose each spring. Their 22-minute action drama is about an overlooked driver who exploits her brother’s reputation in the underground world of drag racing to finally get a shot at proving herself in the streets. It seems the audience at the LA Indie Film Festival, where the film debuted recently, resonated with the short. Martinez won Best Director at the festival. The film was shot over five days in San Jose, Sacramento and Alameda. It’s scheduled to show four times during the Cinequest Film & Creativity Festival, which runs March 5 through March 17. In addition to the “American Muscle” film, three SJSU faculty members from the Department of Film and Theatre are sharing their expertise and script writing knowledge at a panel discussion: “Taking a Script to Screen Successfully.” Screenwriting Lecturers Larry Schapiro and Barnaby Dallas put together the panel of industry insiders. Schapiro will participate in the panel, and Professor Scott Sublett will serve as the moderator. The panel discussion takes place on Saturday, March 16 from 10:30 a.m. to noon at the California Theatre Rehearsal Hall. 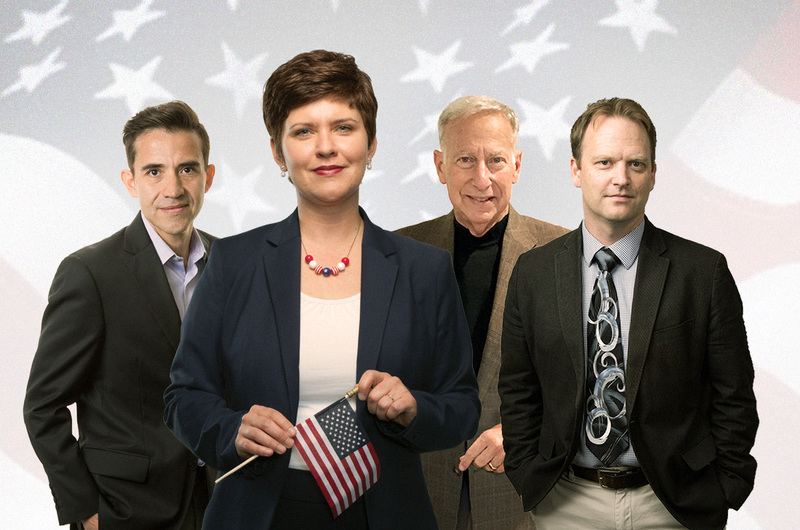 San Jose State University political science professors will be sharing their expertise with millions of television viewers and radio listeners across the Bay Area on election night. Four professors will be providing reaction and expert commentary on six television and radio stations Nov. 8 and 9. Associate Professor Jackson will appear on ABC affiliate KGO-TV on election night beginning at 8 p.m. She will also offer post-election analysis the next morning on KGO-TV’s newscasts. Assistant Professor Sergio Bejar-Lopez will be on-set analyzing the election for Telemundo affiliate KSTS-TV and Univision affiliate KDTV-TV. For the 36th year, Professor Emeritus Larry Gerston will share his political expertise with NBC Bay Area viewers and KCBS radio listeners. Associate Professor Garrick Percival will offer analysis of some of the 17 propositions on this year’s ballot with Fox affiliate KTVU and others. 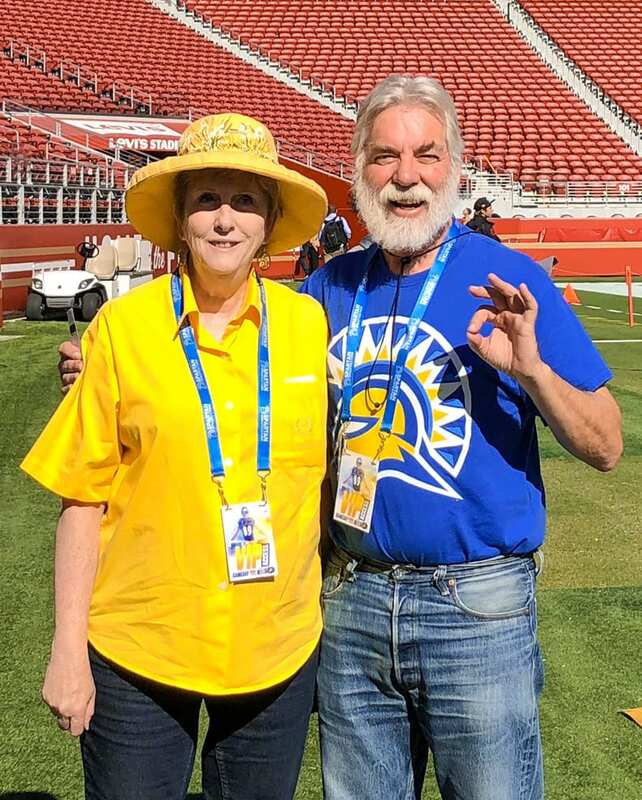 September 25, 2015, marked the end of an era for the San Jose State University Faculty Wives Club. 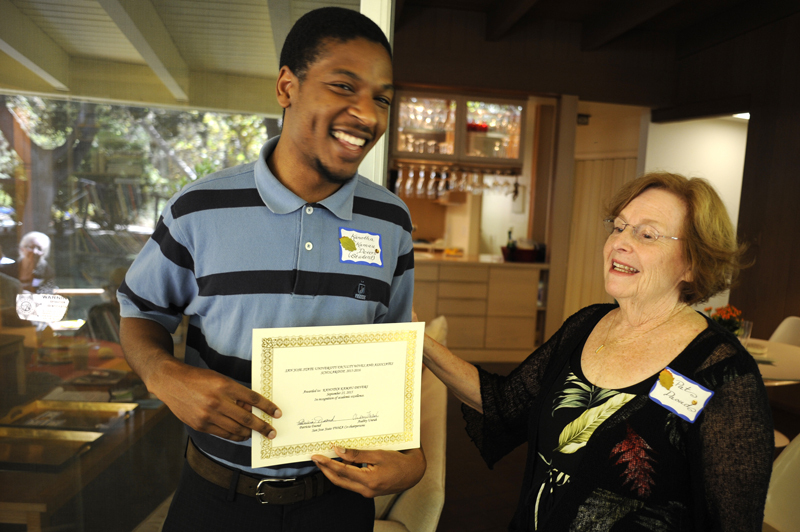 The nearly century-old club held its final meeting and handed out the last of its scholarships. At its height, the group boasted a membership of 165 women. It has dwindled to 41. Winifred MacQuarrie, wife of Professor Thomas MacQuarrie, started the Faculty Wives Club in 1927. He was appointed president of San Jose State in 1927. 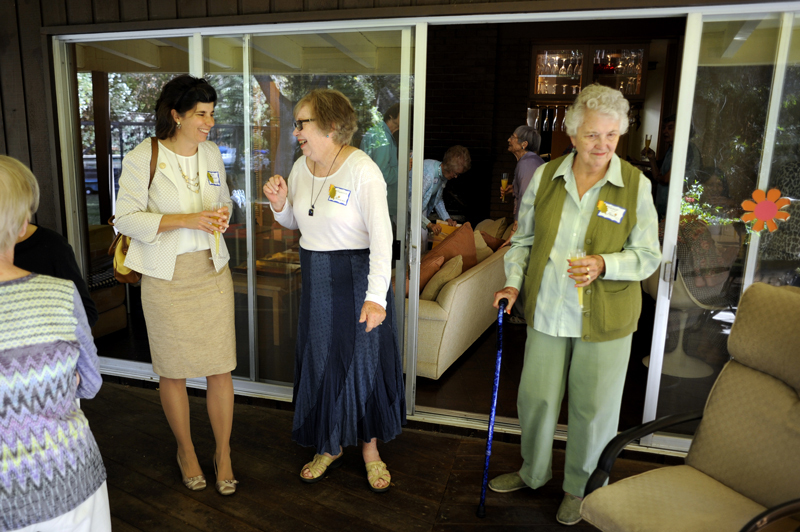 As a final act, club members donated to the SJSU President’s House a silver coffee and tea service that was commissioned in the 1950s in memory of Winifred MacQuarrie. Betty Van Arsdale is one of the longest living members. She joined 69 years ago in 1946. “The scholarships have been the most important part, but of course the friendship and contact throughout all the years with people who were in the same position as being wives of professors has been very endearing,” Van Arsdale said. 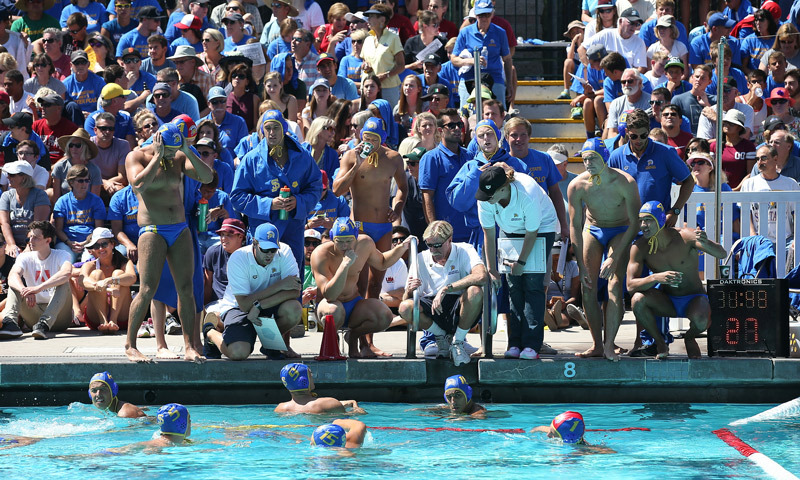 The club served as a social and community-minded organization. 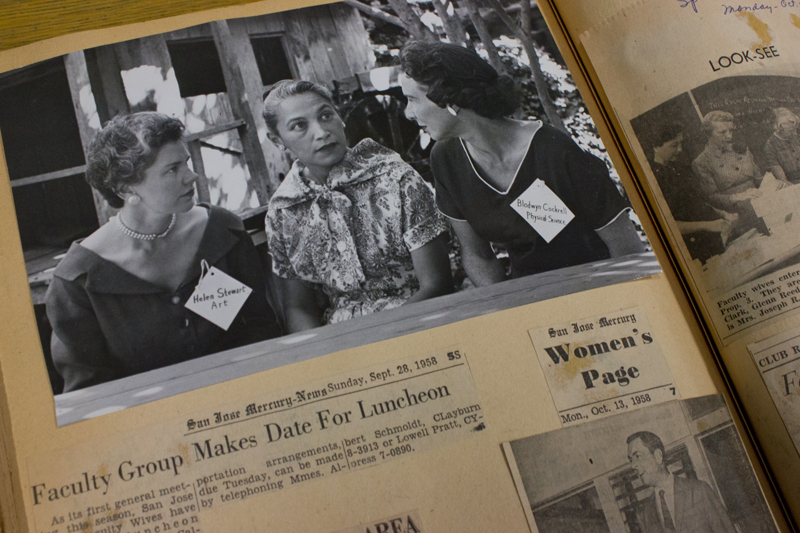 It held fashion shows, sold cookbooks and donated money to fund student scholarships. 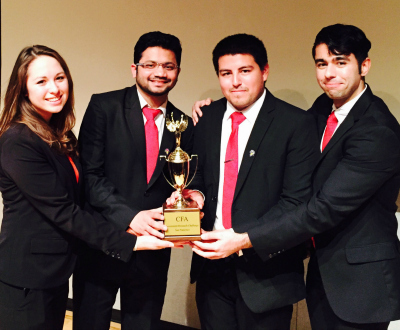 Over the years, the club handed out an estimated $123,000 in scholarships. 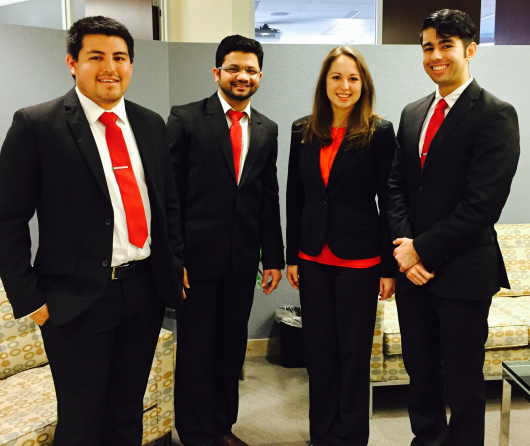 Four students received $3,000 scholarships at the club’s final meeting. Cindy Brown-Quinn, ’14 BA Social Work, was one of them. The scholarship was critical for her. “It’s basically keeping me from going homeless. I feel like there’s no way I would have been able to do this, without the scholarship,” she said. Brown-Quinn is currently working on a master’s degree in social work at SJSU. Another scholarship recipient, Kanotha Kamau-Devers, ’16 Civil/Structural Engineering was grateful for the Faculty Wives Club scholarship, too. After talking to club members at the final meeting, he realized the club offered more than financial assistance. “The love and spirit this group brings, means a lot,” he said. Club members also awarded scholarships to Nhan Nguyen, ’15 Nursing, and Elizabeth Marie Mellow, ’15 Psychology. 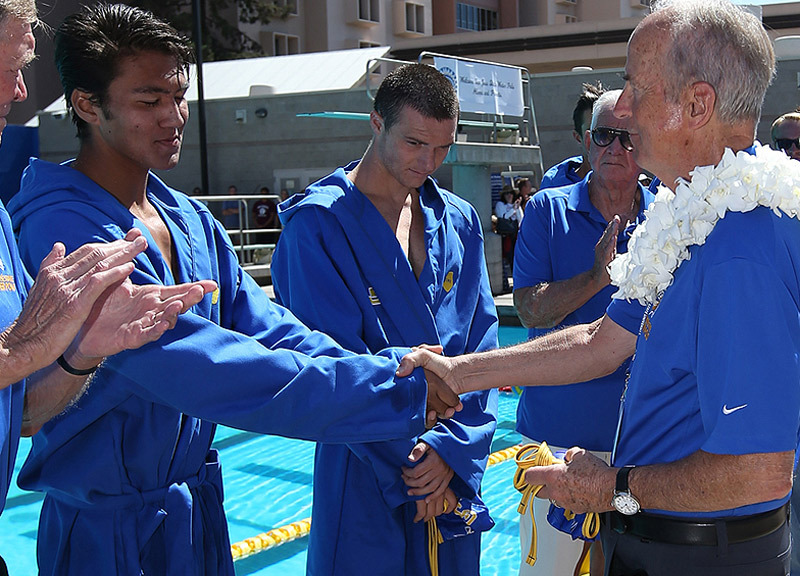 These final scholarships closed out the books for the club, but their legacy will live on. “I want to be that person in the future who starts my own scholarship, whose part of committees to give back to the next generation, to pay it forward,” said scholarship recipient, Cindy Brown-Quinn. Morehshin Allahyari (Photo: Neal Waters, ’07 Geography, ’15 MS Mass Communications). 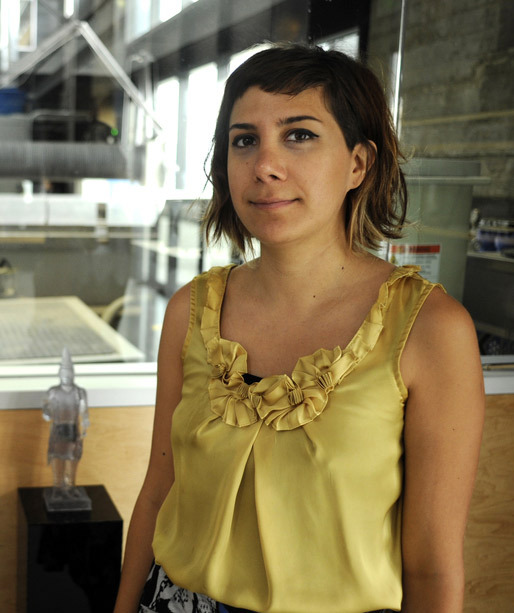 SJSU lecturer and artist Morehshin Allahyari is using technology to save art from the past for the future. She started her latest project, “Material Speculation: ISIS,” after seeing images of ISIS fighters destroying ancient artifacts at the Mosul Museum in Iraq. Not only does the Iranian-born artist have a personal interest in re-creating the 3,000-year-old art work, but her research lies at the nexus of 3-D technology, art and activism. “I think there’s a lot of interest around ways you can use new technology to resist something political, but also how, as artists, you can respond to social, cultural and political events of our contemporary way of life,” Allahyari said. 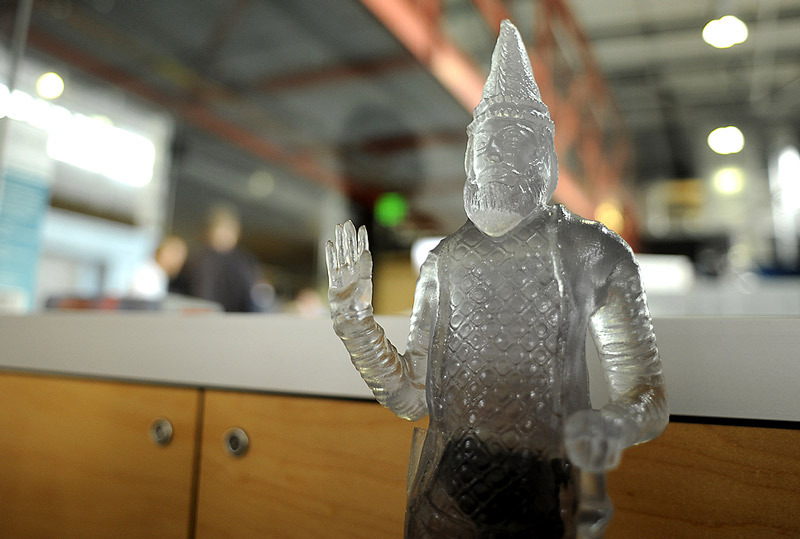 Using 3-D printers, Allahyari produced miniature versions of four of the artifacts destroyed by ISIS. The reproductions are miniature, plastic replicas of the original pieces. The 3-D pieces are on display in Florence, Dallas, Istanbul, and soon, New York. Allahyari is traveling to each city to speak about her work. She’s also planning on re-creating five or six more artifacts that were destroyed by ISIS. As a new media artist, Allahyari believes we are entering an era of having access to certain kinds of artifacts, and having more affordable high-tech tools as a way to document and archive history. “I think it’s really, really interesting to see in 10 years how that will change the whole landscape of museums, digital and physical archiving, and our role in general, as humans, to save, reflect back, or think about concepts related to history,” Allahyari said. Facebook Chief Technology Officer Michael Schroepfer will visit campus for the Silicon Valley Leaders Symposium (courtesy of Facebook). Ten of the world’s leading tech experts are coming to San Jose State this fall for the 13th annual Silicon Valley Leaders Symposium, beginning Sept. 10. The speakers include Facebook Chief Technology Officer Michael Schroepfer and Google Director of Research Peter Norvig, who are “exploring completely new things that will change the way we live,” according to The New York Times. 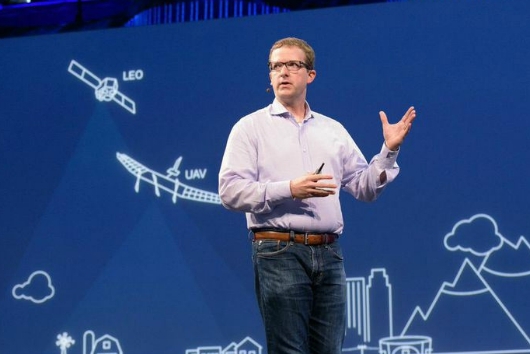 Schroepfer is connected to many Facebook innovations including, most recently, solar powered drones beaming Internet access. 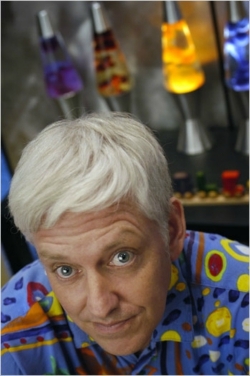 Norvig literally wrote the book on artificial intelligence. 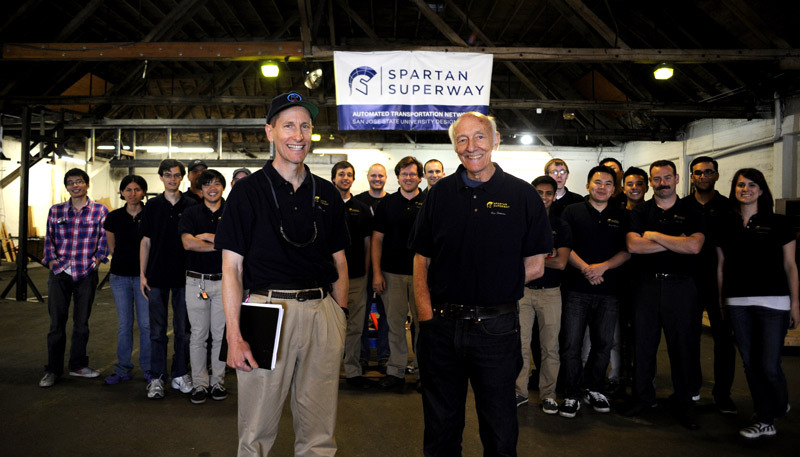 The Silicon Valley Leaders Symposium takes place every Thursday from noon to 1 p.m. in ENG 189. Also on the agenda are executives from LinkedIn, Intel, Qool Therapeutics, Splunk, NetApp, Greentech, and Twitter. The Charles W. Davidson College of Engineering has been hosting the series since 2002. 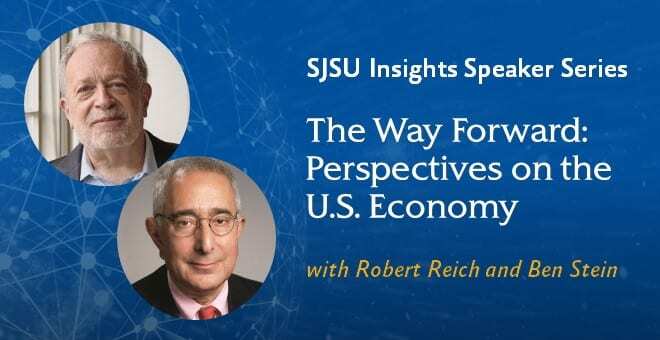 The symposium brings industry and government leaders to campus to discuss business, technology, the competitive global economy and hiring trends. Associate Dean of Graduate Studies Ahmed Hambaba conceived the series and has been its champion since its inception. “It’s more than just a lecture series—it’s a networking and relationship-building partnership with organizations that will hopefully hire our graduates down the road,” he said. 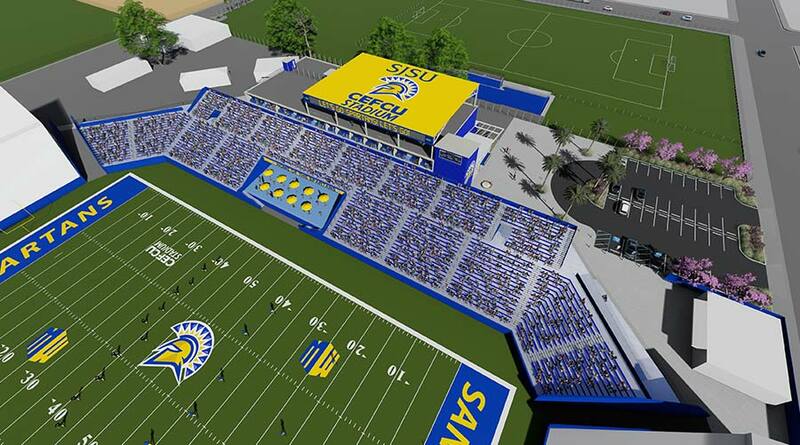 The founding campus of the 23-campus California State University system, San Jose State provides a comprehensive university education, granting bachelor’s, master’s and doctoral degrees in 134 areas of study with 110 concentrations – offered through its eight colleges. 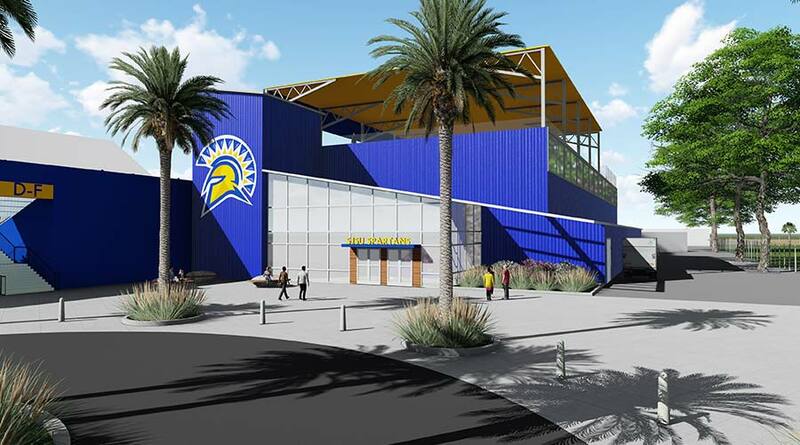 With more than 33,000 students and nearly 4,370 employees, San Jose State continues to be an essential partner in the economic, cultural and social development of Silicon Valley and the state, annually contributing more than 7,000 graduates to the workforce. SAN JOSE, CA – Melissa Ortiz, ’17 Computer Engineering, has faced more adversity in her young life than most people do in a lifetime. 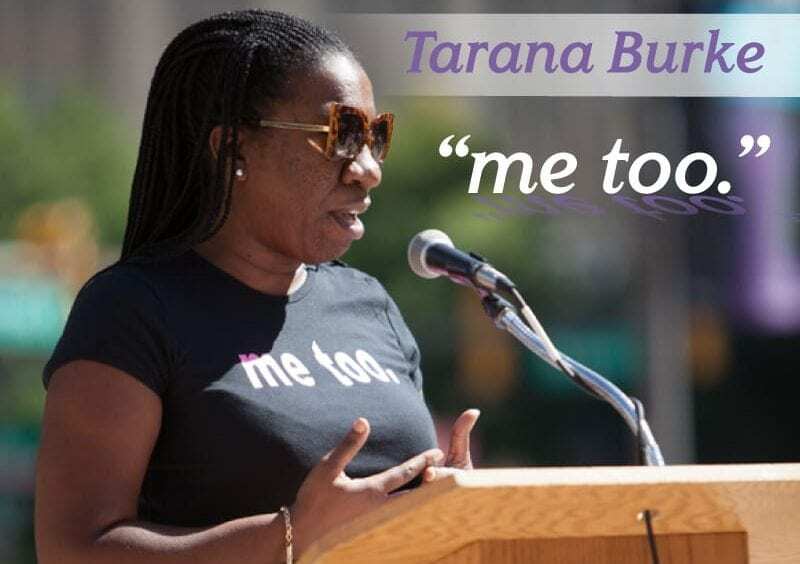 After her father died, she became homeless, lived in extreme poverty, and dealt with physical and mental abuse. But Ortiz managed to overcome those obstacles. She started her own company and secured an internship at Intel to support herself so she could go to college. She is the first in her family to do so. That’s why Ortiz has been named a recipient of the 2015 CSU Trustees’ Awards for Outstanding Achievement. The awards are given to 23 students who overcome adversity and demonstrate superior academic performance, personal accomplishments, community service and financial need. She will fly to the Chancellor’s Office in Long Beach on Sept. 8 to pick up her award. Ortiz is majoring in computer engineering with an emphasis on embedded systems. She maintains a 3.3 GPA. She’s also a member of several campus organizations, but it’s computer engineering that intrigues her the most. 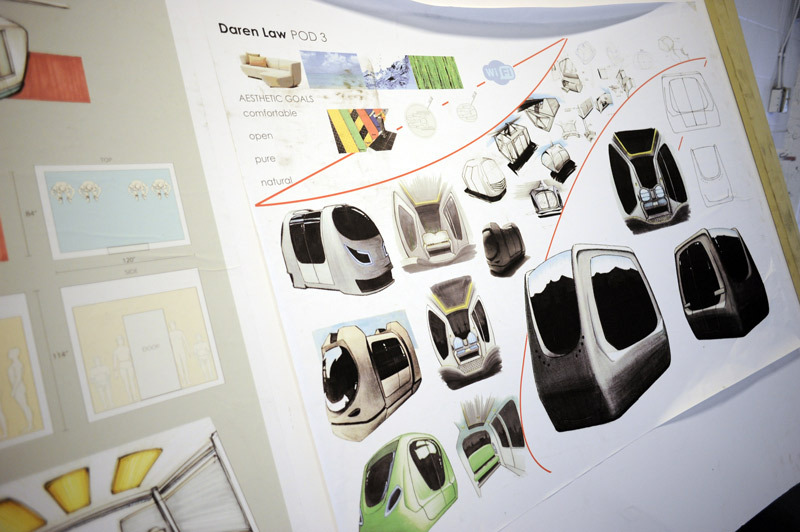 “Engineering brings out the kid in me, I feel like a kid in a candy store every time I work on a project,” Ortiz says. 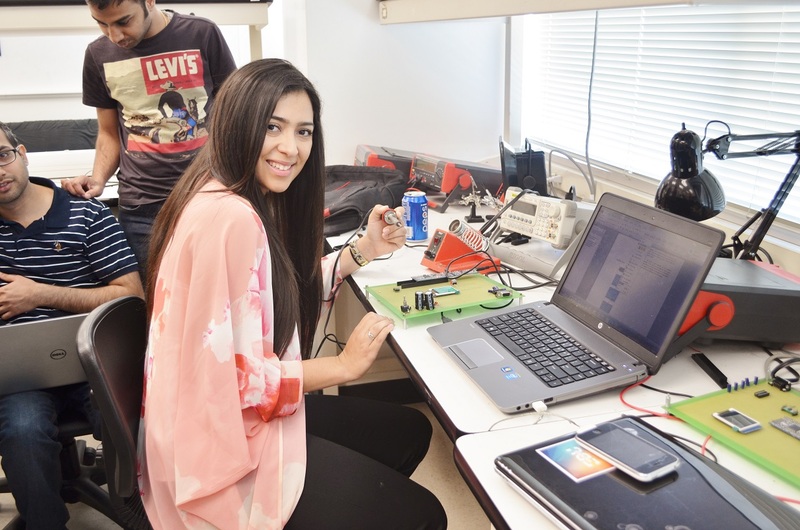 After completing her undergraduate degree, Ortiz plans to earn a master’s degree in computer science and business administration, with the hopes of one day, running her own engineering firm. She also wants to inspire young women to be independent and take an interest in STEM fields. Ortiz was named the William Hauck scholar. The Hauck endowment will provide $6,000 to this year’s CSU Trustee Award recipient. The late William Hauck, ’63 Social Studies, served as deputy chief of staff to Governor Pete Wilson and chief of staff to Assembly speakers Bob Morretti and Willie L. Brown, Jr.
SJSU alumnus Tom Sanders, ’15 MFA Photography, is on a 24-city photographic journey. At each stop he takes photos of World War II veterans. Sanders got the idea for the veteran photo project after snapping photos of a World War II vet for a senior project at Cal Poly San Luis Obispo. 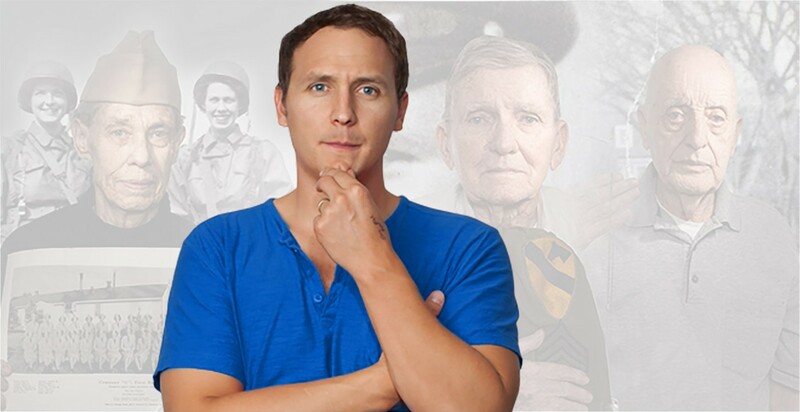 During the shoot, the vet told him a spine-chilling story that he says put his life into perspective. SJSU CyberGirlz program participants at Facebook (photos by David Schmitz). 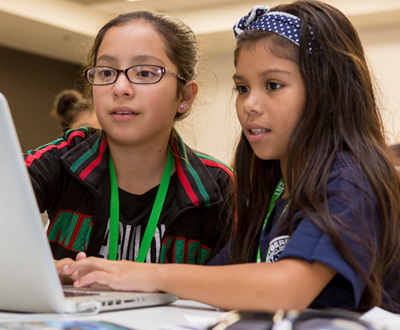 Thirty-eight middle school girls from San Jose State University’s CyberGirlz program took part in a unique experience this summer that may ultimately be a life changing experience for them. They went to cybersecurity camp at Facebook. 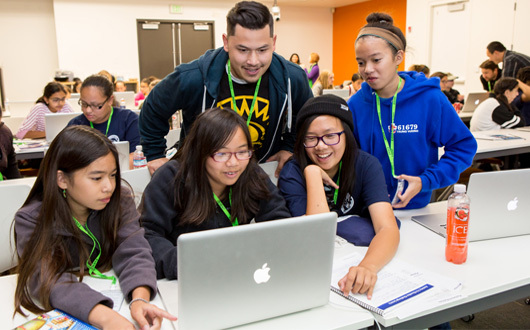 For months, students from SJSU’s Jay Pinson STEM Education program taught the girls basic coding and cybersecurity skills in after-school programs made possible through funding from Symantec, Intel, AT&T and Facebook. At Facebook, the girls advanced those skills and learned more about malware, firewalls and cyber-ethics. They also heard from Facebook’s chief security officer, and a panel of female employees who shared their personal career stories and advice on getting into the cybersecurity field. Facebook gave each girl a new laptop computer to make sure they continue to hone their cyber sleuthing skills. Facebook, along with the Jay Pinson STEM Education program and several non-profit groups are working together to get young girls interested in STEM fields, especially computer science. They hope to pique their interest early on since some researchers believe girls loose interest in STEM subjects around 12 or 13 years of age. Facebook hopes to keep the interest going. They gave each girl a new laptop computer to make sure they continue to hone their cyber sleuthing skills. 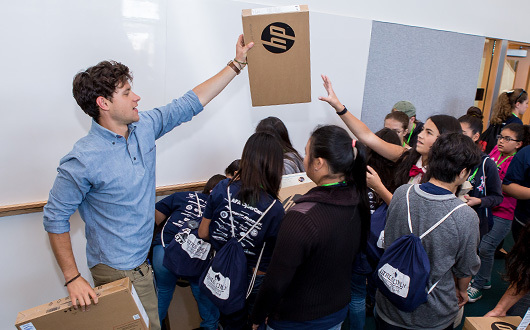 The Jay Pinson STEM Education program is also gearing up for a new year of providing classroom instruction to elementary and middle school students in the San Jose area. “We feel there’s a need to provide a safe space for girls to explore their curiosity and skills in cybersecurity, so in ten years we see a workforce that resembles our community with at least 50 percent men and 50 percent women participating,” said Virginia Lehmkuhl-Dakhwe, director of the Jay Pinson STEM Education program. Spartan Cheerleaders are National Champions—Again! 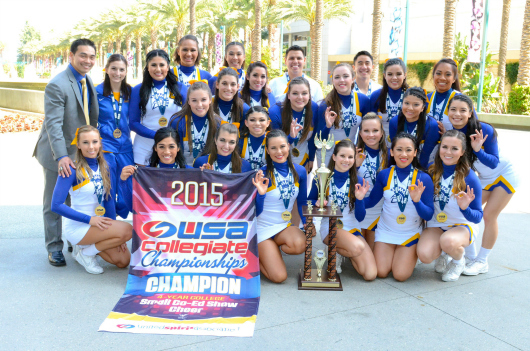 The SJSU cheerleading team wins the national pennant (photo courtesy of Kelvin Lam). 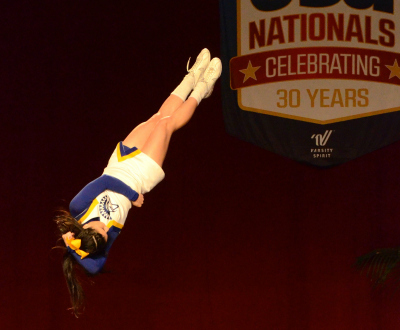 For the second year in a row, the SJSU cheerleading team walked away with first place at the United Spirit Association Collegiate Championships. They competed against 10 other four-year schools March 22 and 23 in Anaheim. Head Coach Kelvin Lam says the team prepares physically and mentally all year long for this one competition. If you compare it to football, you only have one chance to run a play to make a touchdown. There are no second chances, so everything has to be perfect. That tells you the amount of pressure the cheerleaders face,” Lam said. The 22 women and two men team performed a two-and-a-half-minute routine choreographed to customized music and sound effects. Lam says their acrobatics, tumbling and stunts were nearly perfect on the first day, but less so on the second day. Because of that, many team members were nervous going into the awards ceremony, uncertain of the outcome. But the Spartan cheerleaders were judged best overall in the two-day competition. Cheerleader Paige Collins, ’15 Child and Adolescent Development, is one of seven seniors who will leave SJSU with a national win in hand. The team this year was absolutely amazing, and it feels amazing to share a title with people who worked so hard and deserved it,” Collins said. The win was even sweeter given the team had faced some adversity throughout the year, including a weight room injury just two weeks before the Anaheim competition, forcing major changes in the routine. Seventy faculty members stepped into the spotlight at the 16th annual Faculty Service Recognition and Awards Luncheon, and were honored for their work at San Jose State University. 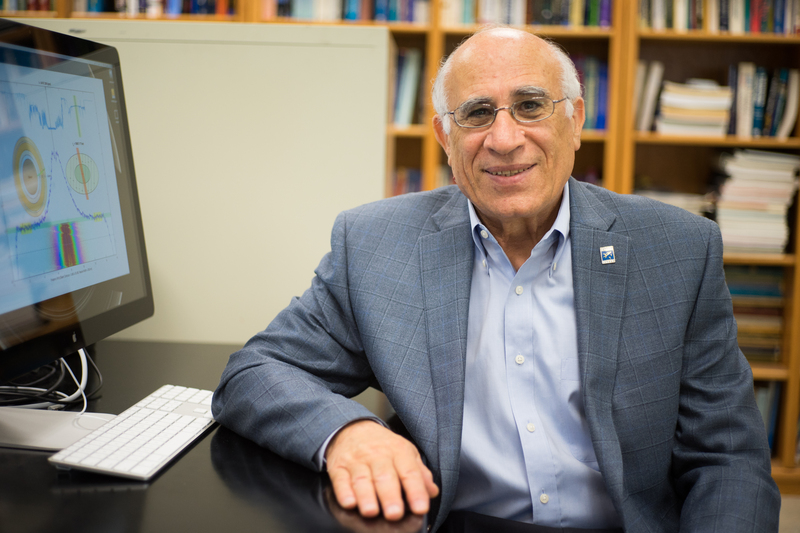 “It is an honor for me to take part in this annual event, recognizing our faculty members for their years of service to San Jose State University and acknowledging the special achievements and contributions of this year’s four faculty awardees,” said President Mohammad Qayoumi in his prepared remarks. With that said, Kevin Jordan, professor of Psychology in the College of Social Sciences, accepted the President’s Scholar Award. His 30-year career at the university is impressive. 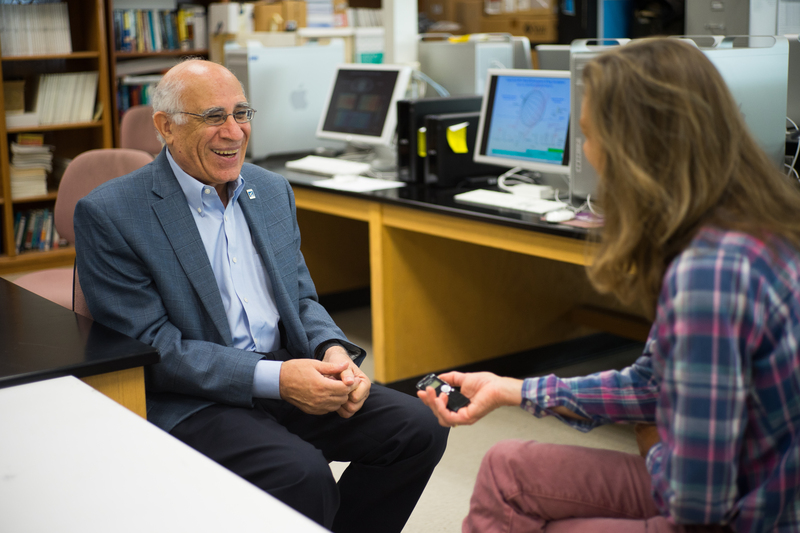 He’s authored or co-authored approximately 80 academic papers and presentations, supervised some 80 master’s theses, and secured nearly $200 million in research funding. The Student Union ballroom erupted with applause as President Qayoumi presented the Distinguished Service Award to Scott Guenter, professor of Humanities in the College of Humanities and Arts. Guenter also received an award for his 25 years of service to the university. Outstanding Professor Anne Marie Todd of the Department of Communication Studies in the College of Social Sciences and Outstanding Lecturer Cynthia Baer of the Department of English and Comparative Literature in the College of Humanities and the Arts also received a warm reception. The university gave awards to faculty members with 15, 20, 25, 30, 35, 40 and 50 years of service. William McCraw, professor emeritus of Political Science and a Humanities lecturer, was the only person at this year’s luncheon to receive an SJSU Tower frame for 50 years of service. As he walked to the stage, everyone in the ballroom rose to their feet and applauded. More than 350 people turned out to honor the faculty members for their inspiring work and dedication to SJSU. 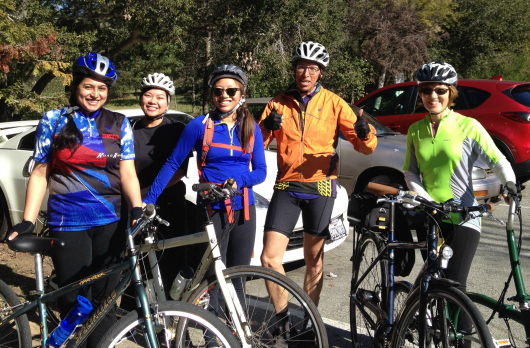 Climate Ride team members before training in Woodside. Left to right, they are Ramya Shenoy, Huong Cheng, Kelly Chang, Eugene Cordero and Clare Cordero (photo by Steve Branz). A team of Spartans will pedal hundreds of miles along the California coast this spring to raise awareness about climate change, and support SJSU’s environmental outreach program, The Green Ninja Project. Before joining the team, the last time Ramya Shenoy, ’15 Computer Science, rode a bicycle was 11 years ago to pick up groceries for her parents in India. She recently rode 47 miles, and is determined to complete The Climate Ride, which runs May 17-21. “I’m putting all my willpower into training for this. I think anything is possible, if you really put your heart into it,” Shenoy said. The Green Ninja Team, a diverse group of SJSU students, alumni, and faculty and staff members, is participating in the California Climate Ride. They’ll be biking 320 miles in five days from Eureka to San Francisco to raise awareness about climate change and support environmental non-profit organizations like the Green Ninja project. 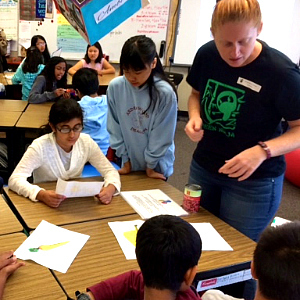 Shenoy and several other team members work for the Green Ninja Project, a non-profit environmental outreach program designed to educate middle school kids about climate change and inspire them to take action. The Green Ninja Project is the brainchild of Professor Eugene Cordero, a climate scientist in the Department of Meteorology and Climate Science. Convincing Professor Cordero to participate in the Climate Ride wasn’t too difficult. “I love cycling, I’m passionate about promoting solutions to climate change and our SJSU team is so inspiring,” Cordero said. Each team member must fundraise $2,800 to ride, but they hope to raise $5,000 a piece. Kelly Chang, ’13 Biological Sciences, the team captain, loves getting active outside and hopes to inspire others to get outdoors through the Climate Ride. She’s actively promoting the ride, and trying to get more riders and sponsors to sign up. 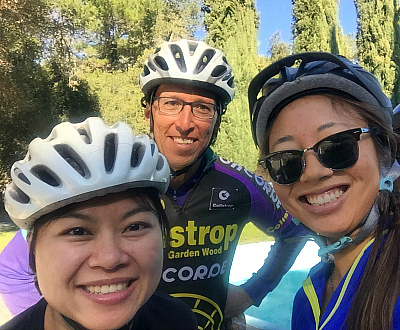 We’re always looking for new riders, and we welcome all levels of bike riders,” Chang said. Chang has been contacting local businesses to partner with and support the team. So far, Good Karma Bikes has graciously donated a bike, which will be raffled off in an upcoming silent auction. 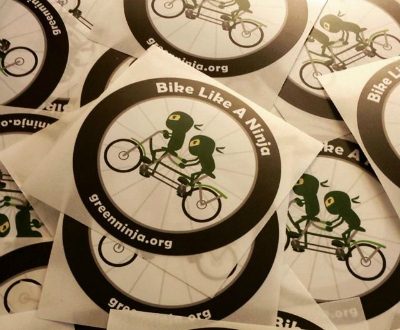 The Green Ninja team has organized training rides every other Sunday and they recently completed their longest ride of 47 miles. Huong Cheng, ’15 Animation/Illustration, learned to ride a bike just one month ago. “I want this to inspire my friends and family to take on challenges in life with a can-do attitude. I know once I finish this ride, I will not be afraid of any obstacle I come across,” Cheng said. 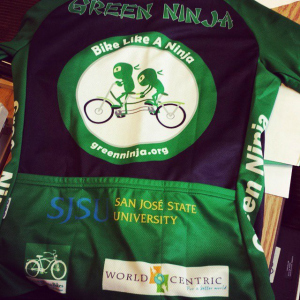 Learn more about SJSU’s Green Ninja Team and support their fundraising goals. Want to join the team? Contact Kelly@greenninja.org.